Following the publication of both Gianna & Melissa‘s STARFISH stories, it is the turn of another of our amazing counselors, Maddie, to detail her own STARFISH story. The Starfish story is one of helping others and making a difference, and when our staff elect to continue these values when not a camp we feel compelled to share. Continue reading to find out how Maddie is making a difference. I live to volunteer, to help others and to meet new people. As the current Community Service coordinator for my sorority, and sisters and I will try to find events that get us involved with our community. From volunteering at Relay For Life to youth development at camp, helping others is something I am passionate about. 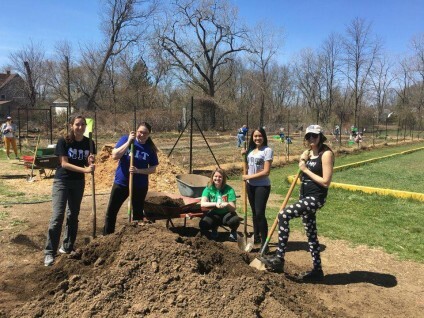 This past sunny Saturday morning, some of my sorority sisters and I volunteered our time at the Kingston YMCA Farm Project in Kingston, New York (I am second from the right). prepare several garden beds to begin planting fruits and vegetables like strawberries, kale, and tomatoes. 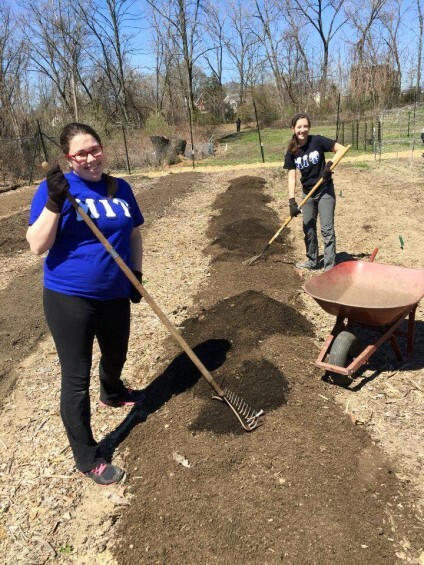 It is a small patch of land between the local YMCA and their parking lot, but the rewards found in this garden are larger than life. While we spent a few hours simply weeding and laying down topsoil, at the end of our day, the garden looked ready to begin planting! What is important about organizations such as this is that people are able to learn about making healthy choices at a young age. They offer an after school and a summer camp program for young people within the community to learn the process of growing their own healthy fruits and vegetables without the use of chemicals. The best part? After all of their hard work and patience, they are able to eat their reward! Overall, it is a rewarding process for the young people and for the community. While healthy, sustainable diets are essential to living a healthy life, it is not really taught in school. As a college student in a rural college town, I am fortunate enough to become educated on this subject. In areas around the country and around the globe, there are areas that are uneducated about healthy food options because there are no healthy food options in their neighborhoods. Within urban areas in particular, it is typically more difficult for people to get access to fresh, organic fruits and vegetables. With groups such as the Kingston YMCA Farm Project, they are giving the people in Kingston and beyond accessibility to cheap, local, and organic foods. 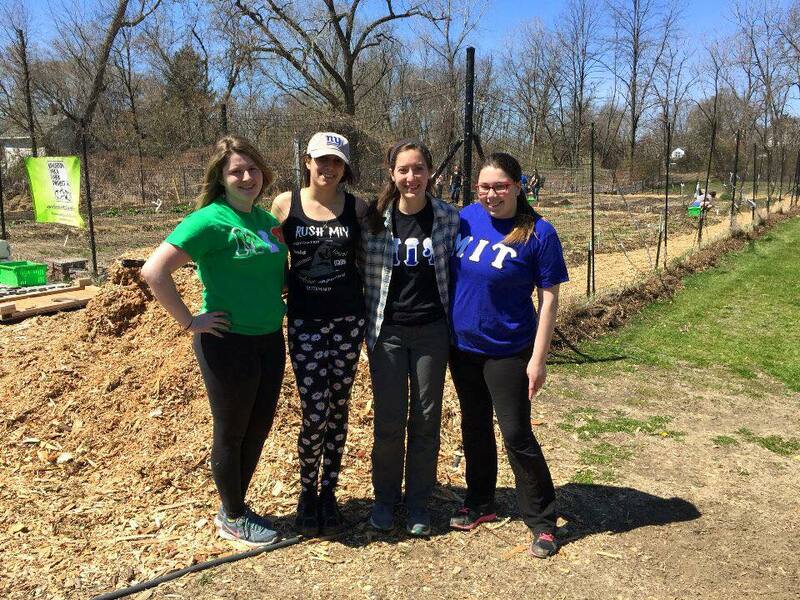 It was such an honor to volunteer there and I cannot wait to go back and plant some veggies! If you would like to donate to the Kingston YMCA Farm Protect and help more of these community program continue to thrive, you can do so here. Maddie Barrasso is a counselor at Southampton Camp & Club and will be returning for her second year during the summer of 2016.